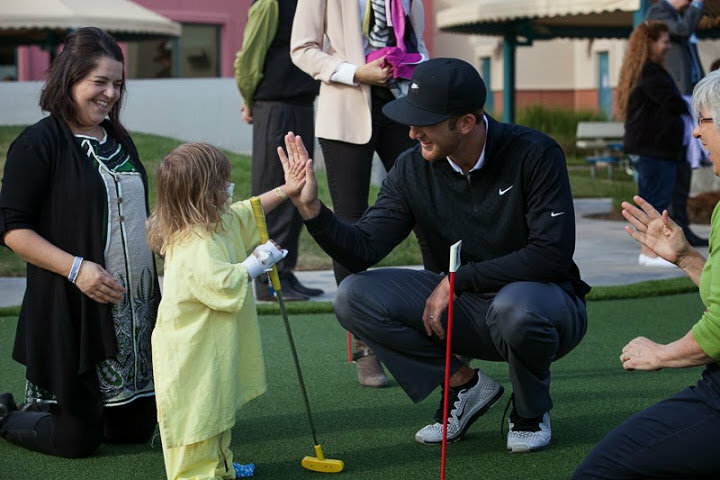 In 2012, Kevin and Elizabeth launched the Kevin Chappell Champion for Children’s Oncology Endowment to raise money and awareness for the Valley Children’s Healthcare oncology program. Kevin invites contributions of any size. With your support, Valley Children’s Hospital Oncology Center continues to ensure that every family who walks through the hospital’s doors has access to the best physicians and treatment plans. A diagnosis of cancer or a blood disorder can be devastating for a family, especially when your child is affected. When crisis happens, parents want to find the best care and treatments that can help their child get back to being a kid. The Valley Children’s team provides the expertise to diagnose and treat newborns to young adults with all types of cancers. As one of the leading pediatric cancer facilities on the west coast, the center serves as the only provider of pediatric oncology services between Los Angeles and the Bay Area. When I first visited Valley Children’s Hospital, the patients in the oncology department captured my heart. Their tenacity, joy and love for life, despite their challenging circumstances, inspired us all to make the most of each day. If our endowment can give even one more family the joy of having a healthy child, it’s worth it. Kevin grew up in Fresno but the birth of his first child gave this charitable endeavor a whole new life. They recognize that although they have been blessed with beautiful, healthy children, there are thousands of children fighting for their lives. Kevin and Elizabeth strive to ensure all children throughout the Valley have access to the best pediatric cancer care. Please join them in making a gift to the endowment. Your commitment to help fund this lifesaving effort is helping children win the fight against cancer. For information, please contact the Valley Children’s Healthcare Foundation at (559) 353-7100. Help make a lasting impact by donating to KCCC Oncology Endowment.